Not your traditional Body of Art! 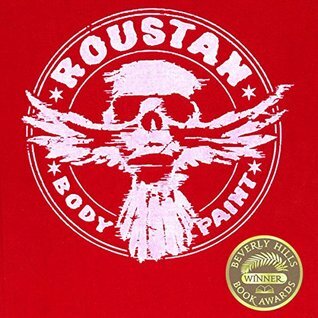 Follow along with Paul Roustan, an award-winning body painter as he takes you on a 10 year transformative journey in this immaculate, 290 page hardcover photographic art book. I was unsure what to expect when Paul Roustan emailed me regarding reviewing a copy of his book. It is completely outside my realm of books I typically review but I took it on as a new challenge regardless. The body art included in this work is absolutely incredible and it’s obvious it took an incredible amount of time and patience to perfect. This book is obviously not intended for children or those of an immature mindset as there are still obvious visible aspects of the body through the art, however it is an incredible talent and I’m very grateful to Paul for sharing his work with me. If you have a taste for beautiful body art, this book showcases some of the very best pieces I’ve seen.